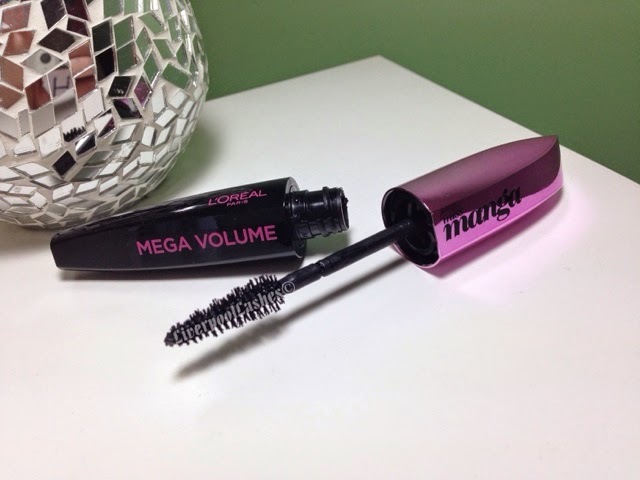 I was delighted to get the L'Oreal Paris Miss Manga Mascara in one of the beauty boxes as I had heard quite a few people talk about it. I really like the packaging of it with the combination of pink and black and the metallic finish. I think the wand is a fantastic shape as it gets narrower towards the tip so that you can really get into the inner corner to ensure every tiny lash is coated. Without sounding like Goldilocks here, the formula is just right (not to wet and not too dry.) I find that it applies easily and it gives me really dark, fluttery lashes. 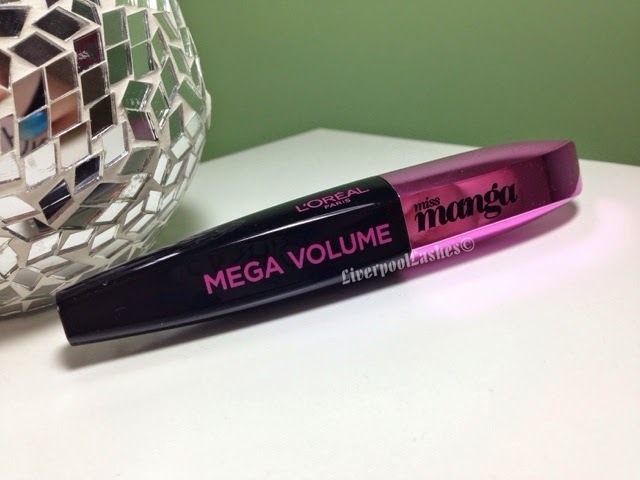 L'Oreal Paris Miss Manga Mascara doesn't flake or smudge on me at all and removes easily at the end of the night. The bottom line is that I really love this mascara. I do still like my Avon Mega Effects the most but for anyone wanting to try something new then you can't go far wrong with this! I got this from a beauty box too and I am obsessed with it! I love this mascara, really gives great length to your lashes.